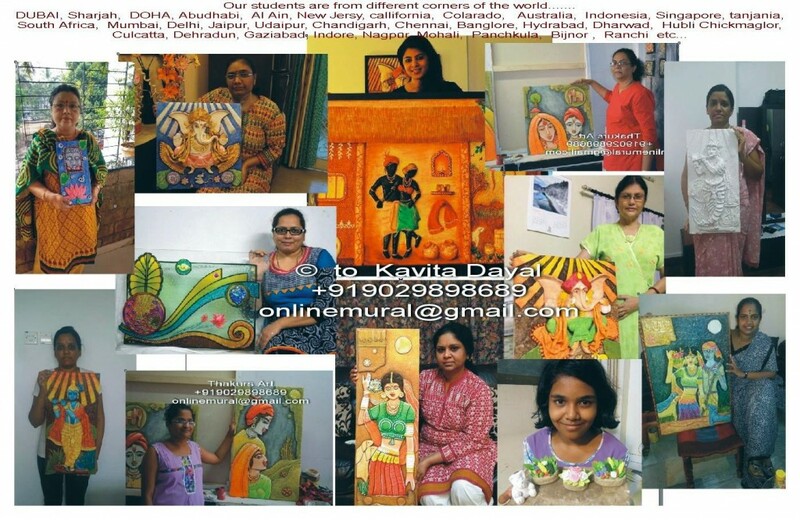 Kawita Thakur believes in creating saga using mural art form. When we take a look at any of her work, it soothes the eyes completly. We had a quick chit Chat session with this artist. Check out what she said…..
1) Welcome to the platform of Indiacafe24.com. We are happy to have a passionate artist with us in this session. 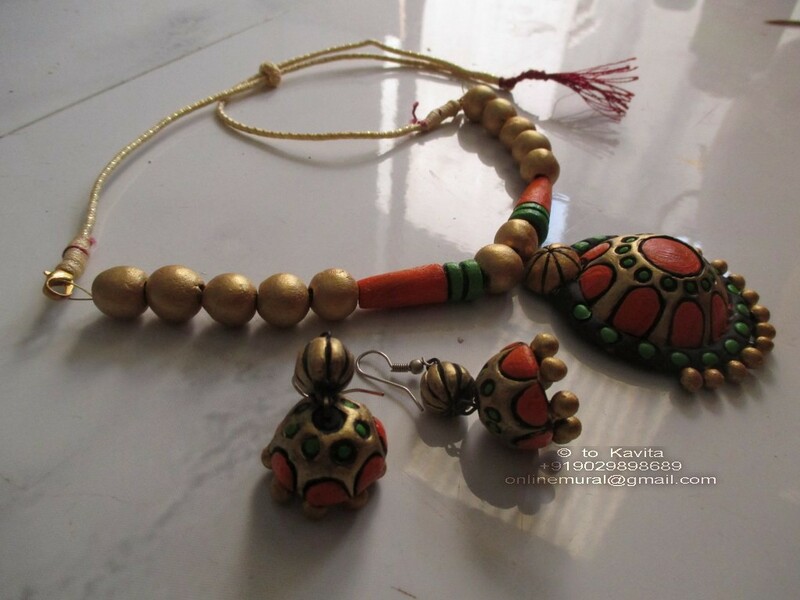 Kavita please share with our readers about your background and family? Thank you for inviting me to share about my work in Indiacafe24.com. I am a Fine Artist and an entrepreneur. 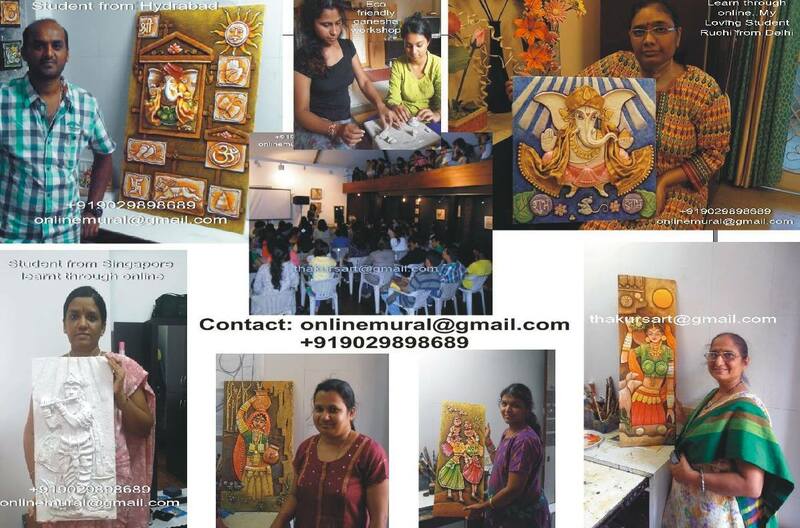 My work field includes making Custom Mural for Corporates , exporting Art works under the Brand name of Thakurs Art. I am deeply engaged in providing Online Training to people worldwide. I have developed an easy and unique way to give online training to passionate learners of arts so that they can become an artist with ease & grace. 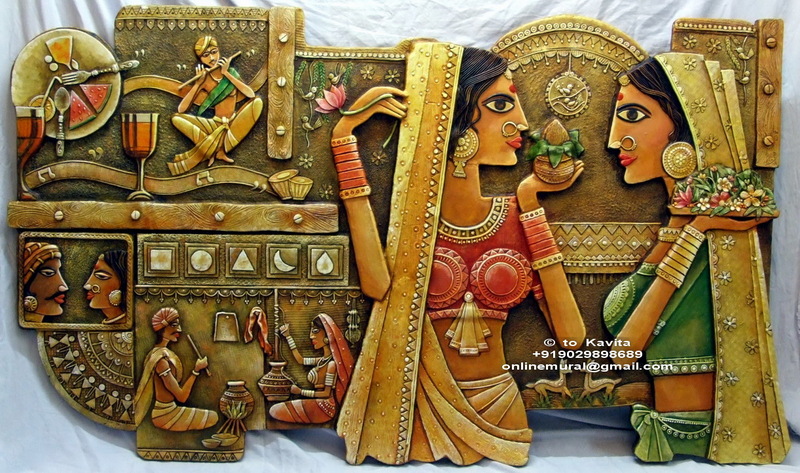 Pramod Thakur, my husband is an Eminent Artist, who works on Unique wash medium technique for his Paintings. 2) When you first realized the fact that you are actually a creative person? I was very fond of art since primary school days. It was my Masi who noticed the way I hold a Nail paint Brush and while applying nail paint on her fingers. She told my father about my small paintings. After that day my father started observing my small drawings in notebooks. He brought colors and drawing books for me to do painting. 3) Are you professionally trained in this mural art form? Where from you learned this creative art? 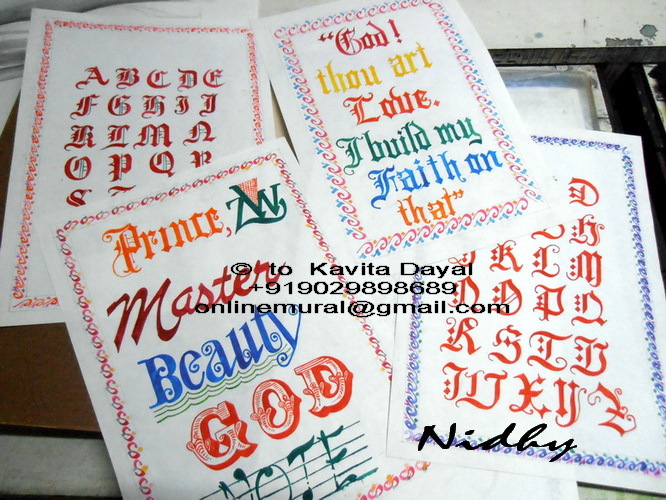 I am Graduate in Applied art in 1990 from Sir J. J School of Art, Mumbai. After my 12th my father enquired many people about the career in art field. When he came to know about Sir J J art college, we travelled to Mumbai from our small town Ranchi.I got selected in Sir J J School of Art in 1985 and my dream to study from India’s Best Art College became possible. My Father stood for me and I realized my dream to become an Artist. I worked in advertising field for few years. But I wanted to do something Innovative….. and.. my own creation. In 1997, I got a short term training from IIT Mumbai (IDC) for Ceramics & Raku Firing. 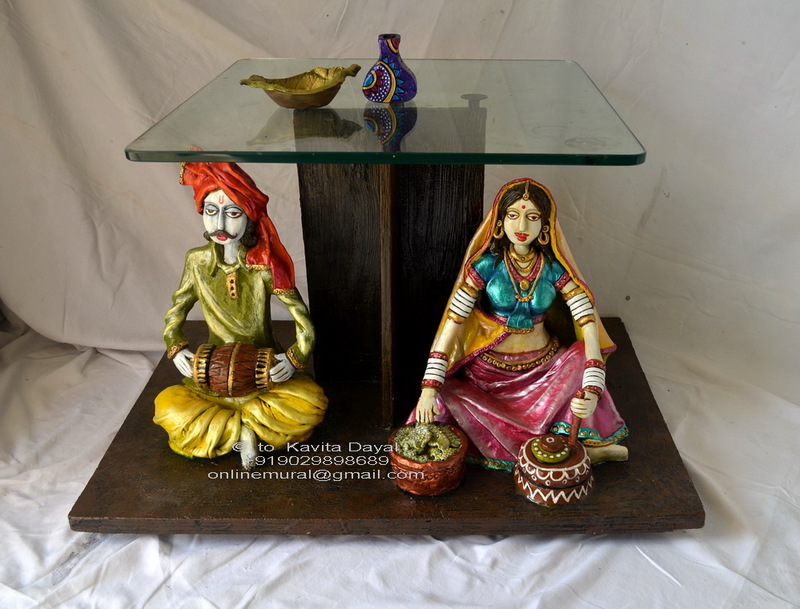 I have been doing research work for 8 years in many types of Clay..Resin clay, Earthen clay, Ceramic clay, polymer clay, Porcelain Clay, terracotta clay and Rubber Clay. 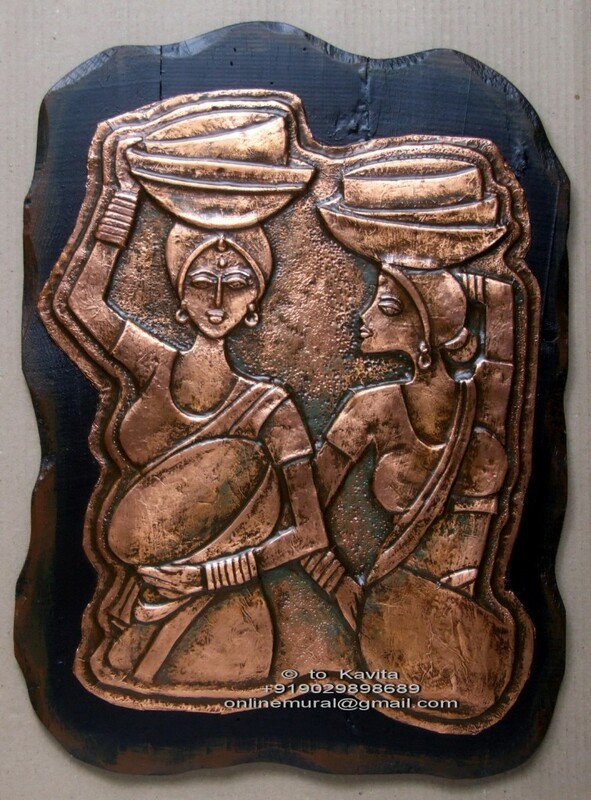 At last I successfully developed a new composition of stoneware clay which I introduced as a Brand Name of “Sonamatti ” . My mural art is very much appreciated by Corporate Industry and Hotel Industry for their Interior Designing Murals. I also export my Mural artifacts. 4) What is mural art and what is the specific features of this art form? A mural is an extremely large work of art, most often a painting, applied to the surface of a wall, ceiling, or floor. It can be one of the several different styles. But all are designed to bring beauty to the building, whether indoor or outdoor. Mural painting is inherently different from all other forms of pictorial art. It is organically connected with architecture. The use of colour, design, and thematic treatment can radically alter the sensation of spatial proportions of the building. In this sense, mural is the only form of painting that is truly three-dimensional. 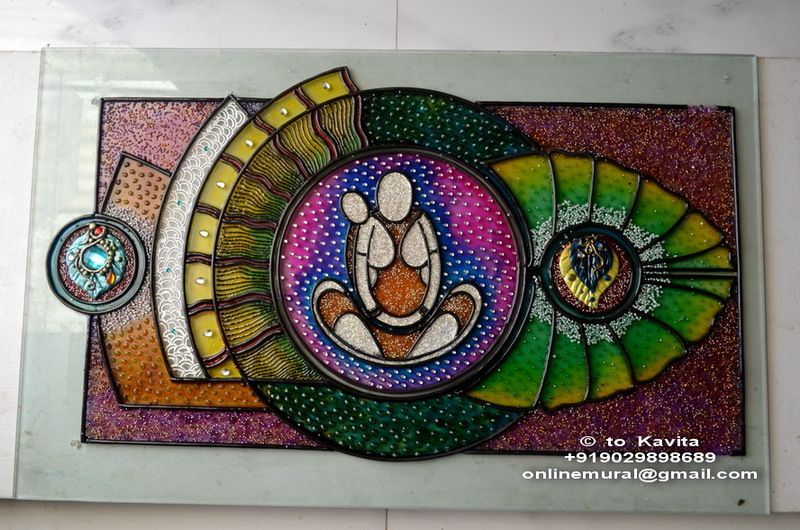 Now a days in Interior designing field, Murals are used according to the theme of Interior design. 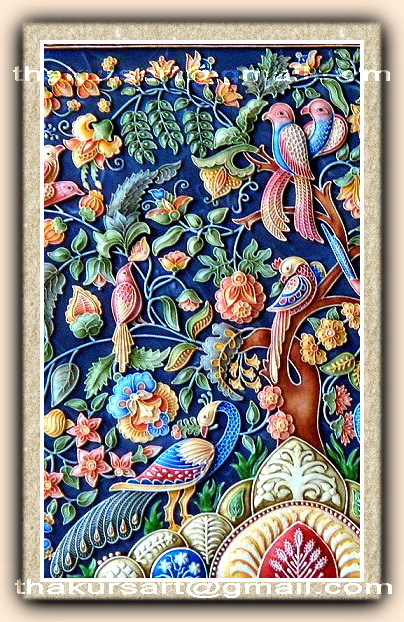 An indoor mural should harmonize with the theme of the house and its colors and furnishings. Materials we used for 3D Murals are Metal, Ceramic, Wood, Siporex stone & mixmedia. 5) Who is the one who actually inspires you in finding different designs for your creativity? Their are some special people in my Life who inspire me to take my creativity in next Level, He is Pramod Thakur my husband. He always inspires me for new Vision in Creativity of ‘Visual & Concept’ . 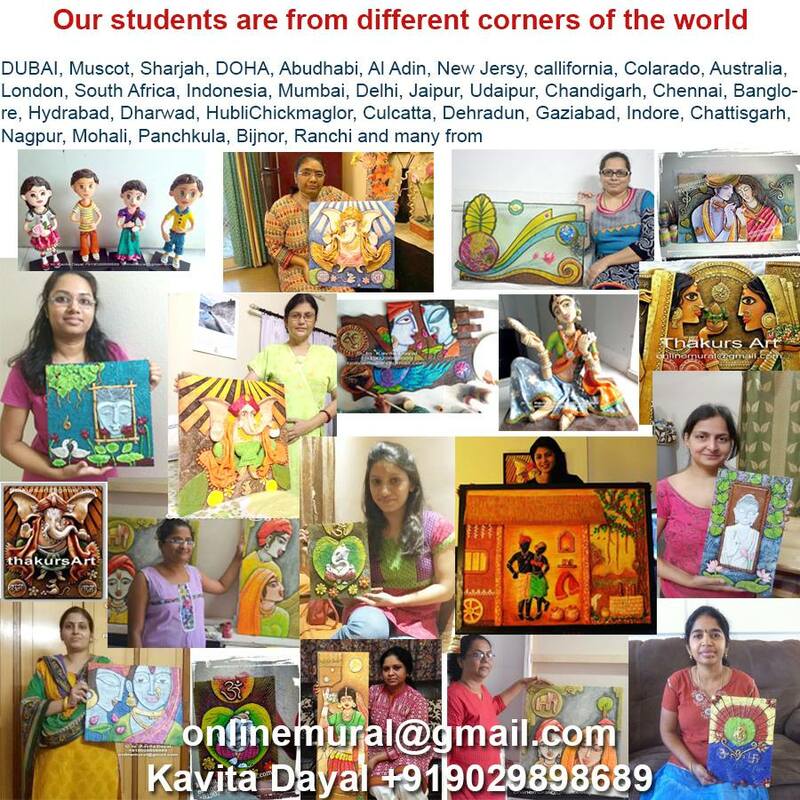 Also Subhasree Chalil ( Executive Director of The Nielsen Company ) who motivated me to start online Mural courses, inspire me that who I am as a being Creative person , I Can Make a difference in other people’s Life, those want to be a Creative and Result is Online Training Course started worldwide. 6) How is the feeling when people appreciate your work? I experience happiness & fulfillment, when people like my work. 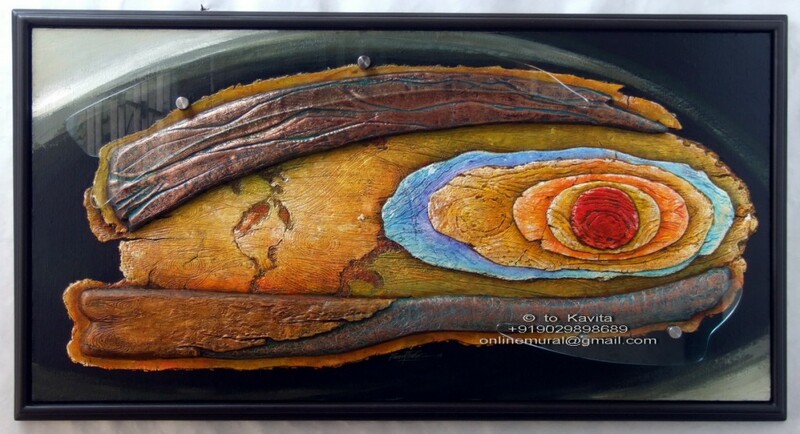 I feel extremely happy when they get worth of their investment of time & Money in my art works. Mostly many of them come again and again to me because of full trust. 7) How successful is your creativity commercially? I am the only one who make unique style of Mural in mix media. Each piece is a masterpiece . 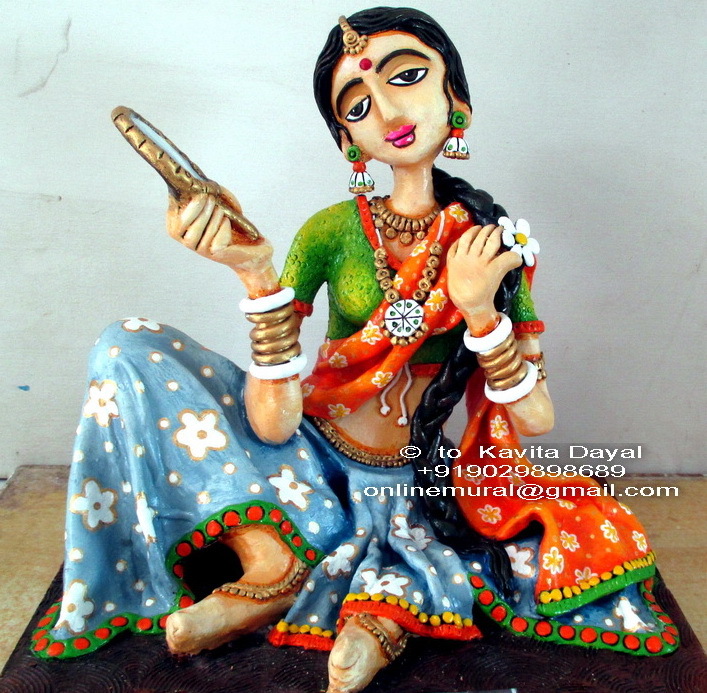 All are hand sculpturing work. So client want that unique piece . People understand I am committed to give them 100% service for what they are looking for. They spread news about our service and quality. This is what, which has established us so far. We get demands from various cities of India as well as other countries. 8) The task is not easy to establish any art form in the mind of creative people, so what sort of obstructions you faced in your path to grow? How I reach to potential Client is a big Question mark for us. Its difficult to get people who really value our Art. We have got a huge Breakthrough in that part . Now it’s not a big deal for me.. I get many enquiries online. I give 100% service to our Clients and I am Committed to complete the work on time. 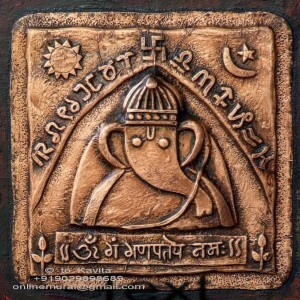 9 ) Do you think that Indian people are ready to pay the right price for the work of an artist? Or there is a specific niche of people who are ready to pay? Yes, Indians are paying good price for Master piece work, which is not copied and it is of my own specific style..
10 ) What materials you are using in your artist work? I am working with Various materials..like Stoneware , terracotta, Copper metal, Wood carving , Glass , Siporex Stone., & mix media on Canvas. 11) What are the different range of products you are having in your collection? 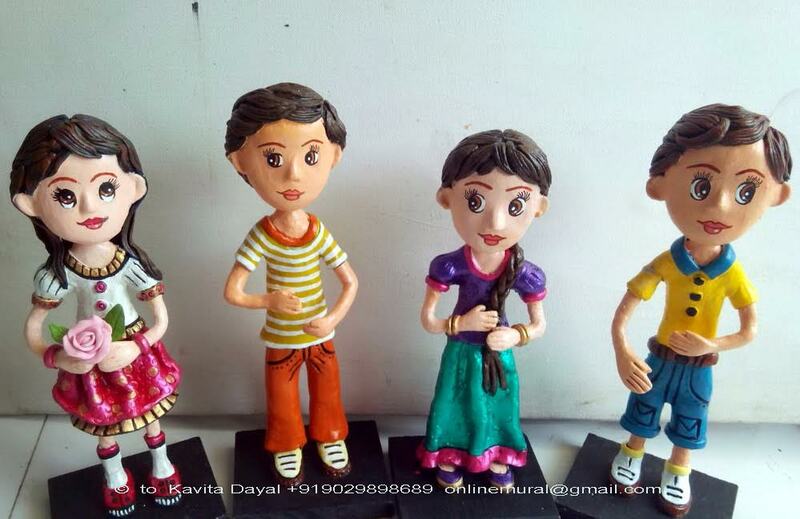 I have small size Art work ( Handicraft) for corporate gift pieces in the price range of Rs.500 onwards. Bigger size murals we work @ Rs. 4000 to 5000 per sq.ft . 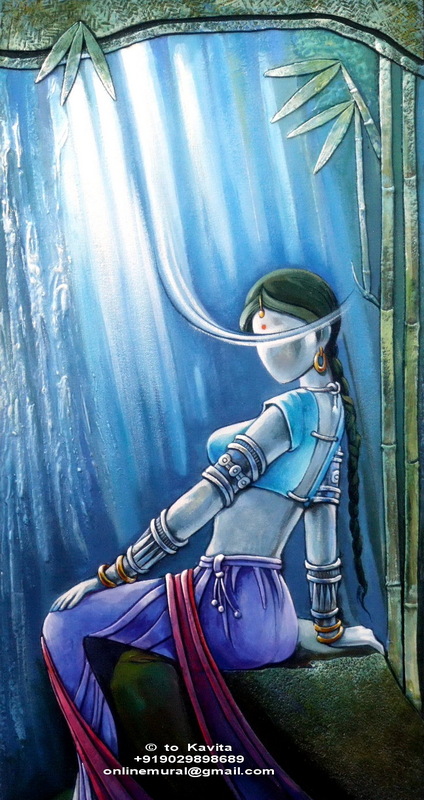 12) What are the parameters you keep in mind will setting the price of your individual art work? 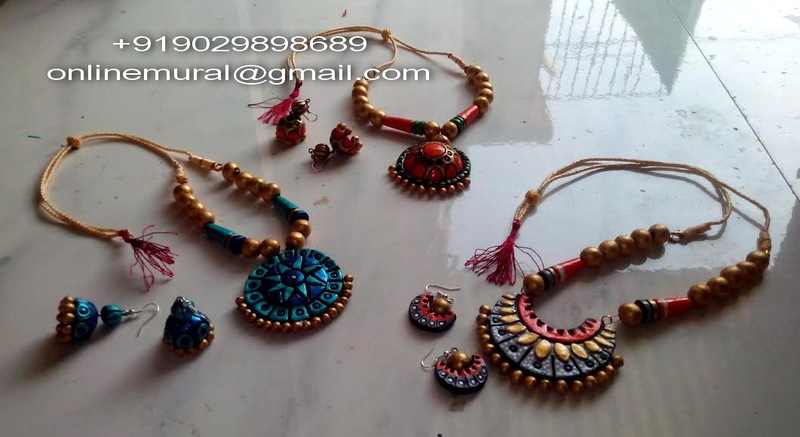 Individual work price range depends on design and medium we are using. 13) As we came to know that you are conducting workshops – So what sort of response you are getting? Yes I conduct workshops and give worldwide online Training to beginners who have a passion to learn art. Currently I am leading in giving Online training worldwide in the field of any kind of Murals. My present students are from all over the world like UAE, USA, UK & India. 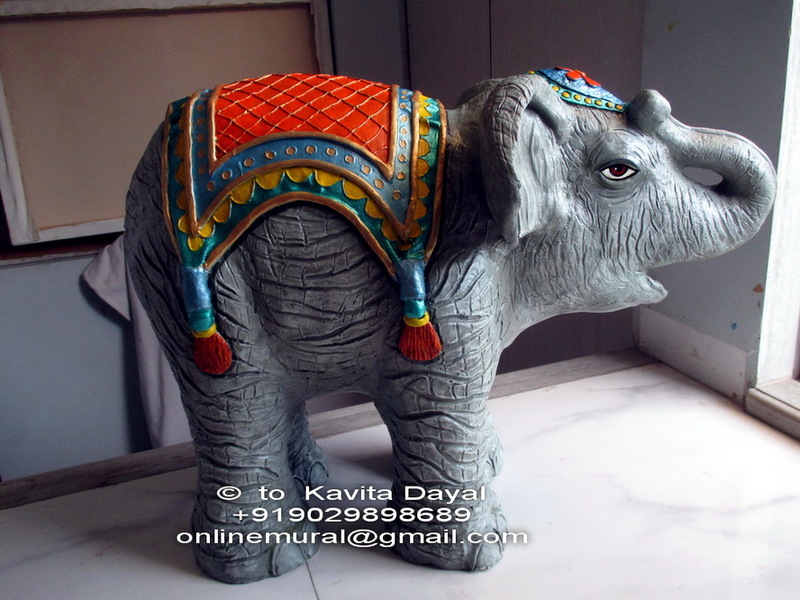 ,learning 3D mural Art online course in their convenient Flexible timings and Durations. Everyday I receive approx 80 – 100 enquiries for online course. Once a student learn from me..they continue with new courses also. So time to time i create new designs and new medium of work. All the students get full satisfaction and after learning they independently start their own art work, run classes and sell murals in exhibitions. On 26th July 2015 I broke record of giving training to 2081 students in 3 days workshop that too Free of Cost. Any novice can learn in my Online training. There is No language barrier to communicate as it is done through Visuals. My students are.. children, college students, house wives, Doctors, Engineers, Business persons, CA, Spl. physically challenged people, I even have students of other nations. 14) What are the basic curriculum in your workshops? 15) If anyone request you for a customized design using your art style can you do? Yes, I do Customized murals as per the individual requirement & Interior Theme. Some of Our clients from Corporates are TCS, Architect P Dayal & associates, 5 Start Hotel Industries., Art galleries from Mumbai, Banglore ,Delhi. & Chennai. 16) What are your other passions in life? By profession I am a Fine Artist and my other passions include FengShui Astrology which i have been practicing since 2002 & I love Travelling. 17) For placing order for your products where clients should contact you? Website and Art Galleries from metro cities & art critics who associated with us to market our products. 18) Which is so far your best creation? My best creations are many. I would like to mention one which is a 8 feet long’ Indian Culture’ Mural made for Hotel Industries. 19) Define Kavita the artist in one line? An honest , sincere and dedicated Artist. Kawita Thakur is a very talented,supporter,good teacher,and not only that a good human being….last two years i know her nd i learn many things from her.Still now i m not looking like her very dedicated,understanding nd supporting teacher in my whole life.I m very satisfied nd feeling better after learning or talking from her……i am a housewife,also very passionate about art and craft work but many circumstances maybe not able to us doing many things but kawita thakur who always support me nd understand the situation…..she is my inspiration nd she is a best teacher in my entire life. 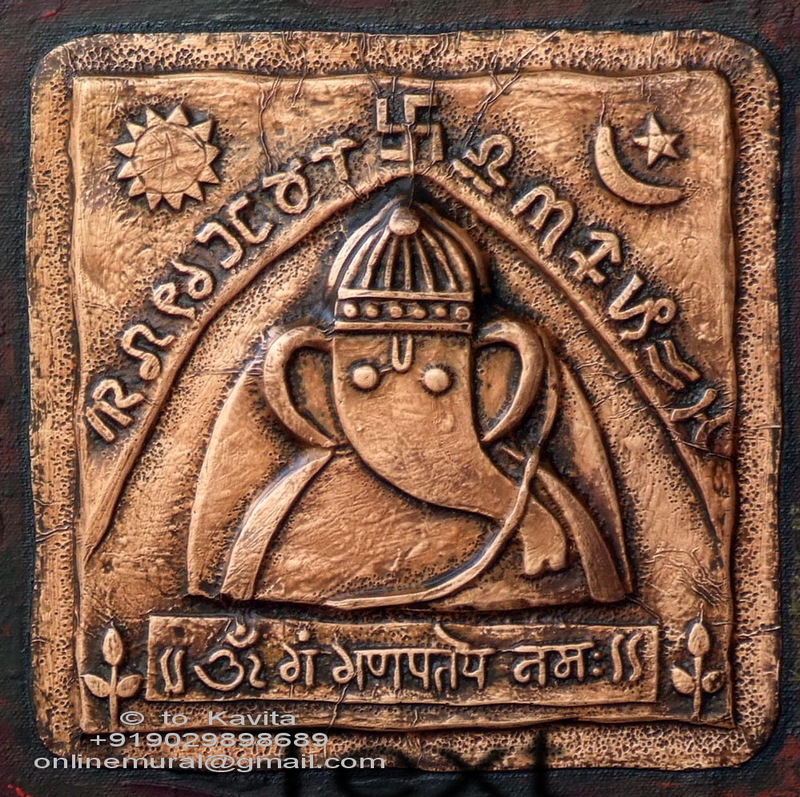 Kawita is the best online teacher I have come across. Her support and way of giving confidence to the student is something remarkable. Hers is a good soul.